Recently, I was lucky enough to attend the Transit of Venus forum, brainchild of the late Sir Paul. His vision was to gather some of New Zealand’s best scientists, scholars, humanitarians, thinkers and leaders (not to mention the awesome force of the Uawa locals from Tolaga Bay and the wider and very welcoming Gisborne community) in the place where New Zealand first truly came together as a nation. Seeing the transit of Venus happen was pretty special in itself, and I reckon it truly set the scene for a new way of thinking about how we do things in Godzone. I played a small part in the proceedings, pitching an idea that Sir Paul had become fond of, a “Predator Free New Zealand“. There have been various iterations of this idea over the years, but it seems that currently all the stars are beginning to align on this concept, and perhaps it might not be as “crazy” as Sir Paul had initially proposed. 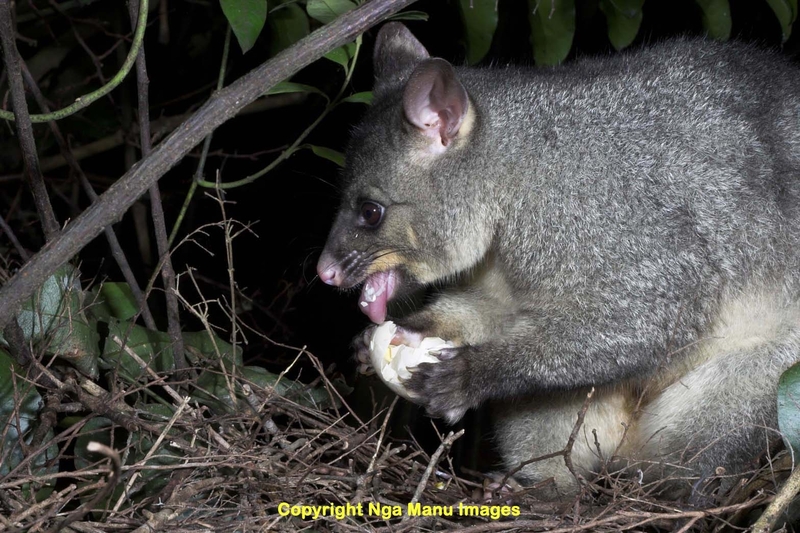 The panel discussion was mostly in agreement that a predator-free New Zealand was a probably-very-achievable goal (over time) and that we had an imperative to act now before we lost even more of our native wildlife species. That whole thing about New Zealand being a “land without teeth” has really wreaked havoc on our wildlife. As soon as kiore (Polynesian rats) got here, tuatara disappeared off the mainland. After the rest of the predators arrived, so too did 42 per cent of our native birds, three species of lizards, three frog species, a species of bat and who knows how many invertebrates. That’s how much we’ve already lost… But the flipside of that is that we’ve learnt quickly how to get predators OFF islands in order to provide some lifeboats of protection for our native wildlife. And we’ve got very good at it. So good at it, our DOC staff and wildlife experts are sought after in places like the Galapagos Islands, Alaska, the Subantarctic Islands and the Pacific Islands to help others work out how to deal to introduced predators. Many technical innovations in trapping and baiting have been developed by private companies in New Zealand, including a self-resetting trap. And we’ve gone bananas in the scale of what we can achieve. In 1959, local Forest & Bird members in Auckland, with the help of a chap called Don Merton (who would later go on to save the black robin from extinction) and a five-pound grant from the NZ Wildlife Service, removed rats from a one-hectare island in the Hauraki Gulf to protect white-faced petrels. In 1986, conservation workers upped the ante, getting rats off the 170-hectare Breaksea Island. A new approach to predator control was born! In 2005, DOC declared the 11,000-hectare Campbell Island in the Subantarctics rat-free. The new frontier would be the real big stuff. Could we get rats, cats and possums off Stewart Island? (A community-initiated scoping report in 2007 thinks we probably could). What about the South Island? Ultimately, it is just another island, right? We’re a nation of people who don’t cower in the face of seemingly insurmountable challenges. Sir Edmund Hillary and Kate Sheppard would attest to that. Should we have a predator-free New Zealand as our “crazy and ambitious” goal and give it a crack? Sir Paul thought we should; he said it would be our own “Apollo Programme”. I agree with him, and so, it seems, do many others. To get to this point in New Zealand’s history is pretty awesome. About 150 years ago, people sat around in rooms as members of Acclimatisation Societies, where they dreamed up which species of plants and animals they should bring to New Zealand to make it more like “home”. These and other kinds of introductions have had catastrophic effects on our native wildlife. It seems only fitting that at the transit of Venus, the very event that led Captain Cook to the South Pacific and eventually on to New Zealand, we should be sitting in a room debating what animals to kick out!